Your smile leaves a first impression when you meet someone new in Staten Island and it is part of what makes you, well, you. But when you have crooked teeth, you may find yourself smiling with a closed mouth for pictures and refraining from those full belly laughs that make life fun. If you want to straighten your teeth, then your first step should be to learn more about cosmetic dentistry. Staten Island has some wonderful options that will improve the look of crooked teeth, including the following ways that can help you achieve the smile you have been hoping for. Porcelain veneers are a popular choice and you can learn more about if they are right for your particular needs when you speak with a dentist. Staten Island residents have seen some fantastic results from this long lasting solution to a straight smile. Beyond straightening out the teeth, gaps and chips can also be corrected with dental porcelain veneers. Teeth bonding is another cosmetic dentistry option that is minimally invasive. A Staten Island dentist will apply a material that is composite resin on the surface of your troubled tooth, and then reshape it to ensure it is straight. There are no needles and this option for teeth straightening is free of pain and most people do not require any anesthesia. Some impressive advancements have been made when it comes to braces, and Invisalign clear braces can straighten teeth for adults and kids. 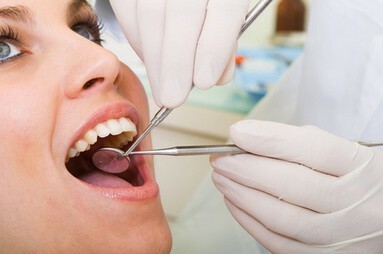 To find out if you are a good candidate for this treatment, you can reach out to a dentist. Staten Island, NY residents won’t even know that you are wearing braces when you choose Invisalign, and you will appreciate that the timeframe to wear clear braces is anywhere from six to twenty-four months. Ask local cosmetic dentists about tooth reshaping if you have crooked teeth. This method is more conservative and uses a sanding instrument to correct any trouble spots. There are many benefits to this method from being cost effective to being virtually free of pain. You will also find that it is healthy for your teeth because you will remove tartar and plaque build up and prevent it in the future, as well as lower your risk for gum disease.